An interview with Barbara Giamanco for her Sales Mastery Series, Barb and I break down why a sales process is important and what sales organizations and sales leaders need to focus on to move the sale. "A sales process has ONE and only one use, that is to help move the sale forward and if it doesn't do that, it's useless." 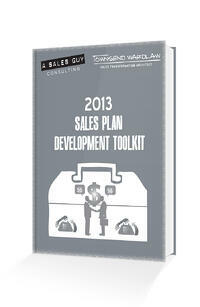 Does your sales process help move the sales forward? Listen in, Barb's a great interviewer!